Three years ago (to the day!) 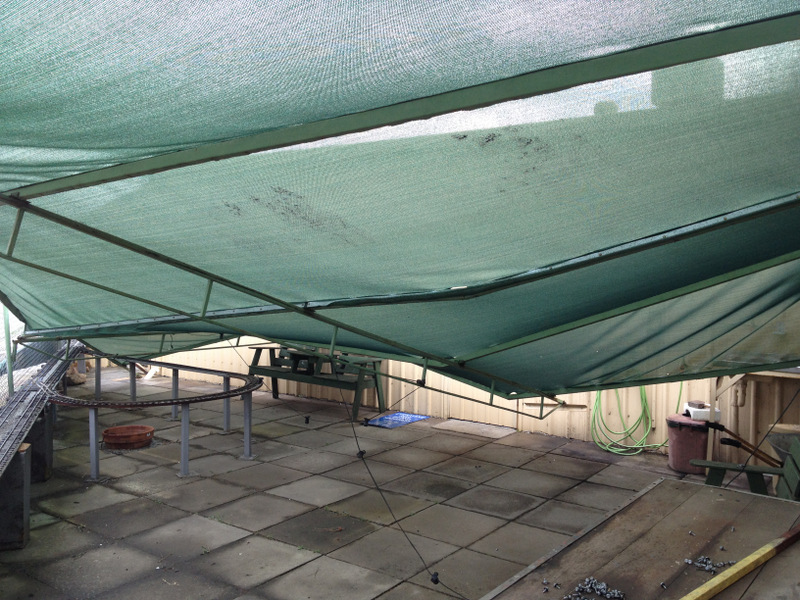 the simple shade‐cloth patio protecting a portion of the outdoor area at the club was destroyed in a storm. Since then we have been trying to figure out a way to replace it. The original was built by our senior club members over a long period of time using salvaged and second‐hand materials. There were two problems with adopting this approach again: 1) Clearly cobbling something together using second hand materials isn’t strong enough to stand up to storms and 2) our senior members are now too senior to contemplate this sort of activity, and our less senior members either don’t have the necessary skills or time to be able to contemplate it. We applied to Lotterywest for a grant to build a new patio and yesterday we were successful! We should receive the grant within a week allowing us to book a contractor to complete the work at the first opportunity. A big thank‐you to our President, John Kinson who was the driving force behind getting quotes, completing the mountain of paperwork and liaising with Lotterywest. This entry was posted in Clubrooms by Ross. Bookmark the permalink. Update: The grant money has now been received and Stratco are coming out to do the final measure up this week. Given the proximity to Christmas we’re not sure exactly when it will be done, but Lotterywest require us to have it all completed and the paperwork finalised within 3 months — and Stratco are well aware of that and used to dealing with organisations relying on Lotterywest grants.